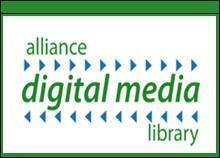 The Alliance Digital Media Library (ADML) is a collection of downloadable eBooks and audio books for patrons to borrow. The system is powered by a company called Overdrive. Alpha Park patrons may sign in using their library card number and the same password they use for the card catalog. If you’ve never signed in before, the default password is “CHANGEME.” Once logged in, you can browse the titles of eBooks and audio books for downloading. You are allowed five downloads at a time and can choose to keep them for 7, 14, or 21 days. If a title is unavailable, you may put it on “hold” and you’ll be notified by email. You'll have two days to check out your eBook. Alpha Park Library is participating in the eRead Illinois Program, designed to increase access to e-books across Illinois. 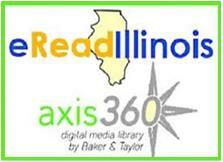 Axis 360 is a digital media platform, providing libraries and their patrons with a state-of-the-art system for circulating digital e-books from the eRead Illinois shared collection for Illinois libraries. Patrons at libraries participating in eRead Illinois will be able to access cloud-based delivery across a number of devices including iPad, iPhone, Android, Windows, NOOK® and Sony ReaderTM devices, and many more. 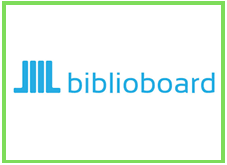 If you have a library card from a participating library (like ours), you can download eRead Illinois electronic books to your tablet, computer, or other device. At this time selection is limited to e-books, watch for audiobooks in the future.